Home » Blogging Tips » Why Is My Website Not Ranking First Page of Google? Search Engine Optimization is a must if you want your website to rank among the top websites on Google and other major search engines. For SEO efforts to work, Optimize your website’s content. Quality content you deliver, you will get more traffic and better business revenue. However, it is not enough to have unique content on your website to enhance Google ranking. You should add new content and keep website constantly updated to ensure Google that site is not outdated. If your website is not ranking on Google in spite of great marketing strategy and hard work, here are 10 possible reasons why your website is not able to make it to the first position of Google search.! If you write too short content, it will hamper your “average time on site”. That’s why it is recommended that your content should be well optimized including targeted keywords. Write long content and include infographics that may attract more visitors and enhance your visitor’s average time on your website. Split the content into small paragraphs with subheadings rather than long boring paragraphs. Plagiarized content is another reason that could prevent your website from ranking in Google. Keep in mind that you do not over optimize the content by stuffing too many keywords in content. Always try to write long in-depth content using necessary modifiers like Best, Top 10, How To to attract users and improve CTR. There was a time when website owners and marketers believed that website ranking on Google depends on the number of links generation. The more the number of links, the better the ranking. However, it does not work if you spam your website with too many links. Penguin- the latest update by Google suggests that sites that indulge in such manipulative tricks will be penalized and their search engine ranking will also be depreciated. Have links only from reputed and authentic sources to avoid such mishaps from Google. try to guest post on higher DA websites in your niche. Imagine a cluttered website without any proper navigation. Would you browse on such a website or do business with them? Of course not! That’s the main reason why it is very important to have a visually appealing website that can entice the visitors to take the next action. If your website is poorly designed, it will fail to bring more traffic and ultimately the search engine ranking will get affected. Better to use a popular premium WordPress theme from StudioPress themes or Thrive Themes. As most of the people navigate your website from a mobile device, you ought to have a mobile-friendly website. Google has included mobile-responsiveness in one of the factors that influence search engine ranking. That’s the primary reason why mobile responsiveness is a must if you want to have a higher SEO ranking. Website security is an integral part of SEO. Buy SSL certificate and install it on your server to enable HTTPS for your website, which helps to establish a secure connection between web server and visitors’ website browser. Once HTTPS connection is established there are trusted visual indicators are enabled such as green padlock icon, https:// next to the site URL. So, your visitors can trust a website to submit their sensitive information. You will not be able to drive more traffic or potential customers on your site. If you require multiple subdomains protection with single SSL certificate then you can obtain cheap Wildcard SSL certificate from an authorized reseller of popular certificate authorities such as Comodo, RapidSSL, GeoTrust and more. Wildcard SSL will ultimately lead to a improve online sales because it is ideal for e-commerce websites which have unlimited subdomains. You can get free SSL certificate with Bluehost Shared Hosting Plans.Otherwise you have to spend money for upgrading to HTTPS. Slow loading websites are a big turn-off for website visitors. Website loading time is also a consideration for Google ranking and if you do not optimize the speed of the website, it will work as a deterrent for your SEO. 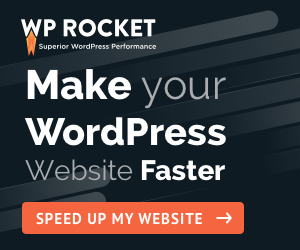 Install a WordPress cache plugin like W3 Total Cache or WP Total Cache. Your website speed also depends upon your web hosting plans also. Hosting companies like Bluehost, SiteGround provides additional features to improve page speed. Once you execute this command, you will see your website at the top of the search results if Google has indexed it. Generally, you will see an entire list of the web pages along with the site command. Not getting your website in the search results indicates that indexing for your website is still pending. Check your robots.txt file and sitemap.xml file whether you have mistakenly disallowed your website or not. MAke sure you keep your update frequency, submit your sitemap file to Google webmaster tool. Rest wait for your website to get ranked. Link-building is obviously one of the best practices for SEO, but if your website is full of unnatural links without any verification from Search Console, it can cost you your website reputation. To make sure this does not happen to you, go to the “links to your site” section of Search Console and find out every spammy link and save links in a text file, which you can upload using disavow tool. Once you have completed Disavow file uploading process wait for few months. If you get manual penalty message in your webmaster, you can submit a reconsideration request. Do you an occasional backlink audit and try to find out the links which are coming from bad sources or spam pages. Take help of tools like SEMRUSH or Ahrefs to find out the list of such bad links and disavow them. Take help of keyword analysis tools like Google keyword planner, Ahrefs and assess the search volume of the keywords that match your business and industry type. Select long-tail keywords that are more specific, more targeted and less competitive. This will help you to improve your search engine ranking and get better visits on the site. Do your keyword research properly. Find out low competition, high volume keywords and write in-depth articles around them so that you can rank them easily and get top Google search ranking. For businesses that target local keywords, particularly the ones displayed with Google Maps, citations are a must. That is mandatory for local SEO. If you are a website owner targeting the local market, you should optimize your “Google My Business” page with the help of a custom URL. Secondly, get maximum photos for your business so that it builds a trustworthy business profile. Fix any citation errors that you notice. Bingo! You are ready for local SEO. Write content for users and not for Google. If you think a piece of content would not impress your online visitors, it is of no use even if it is perfectly optimized for SEO and stuffed with all the relevant keywords. In other words, write valuable content that provides accurate information. Well-researched blogs, content resources, and gated content work the best to build the SEO ranking. If we have missed out on any points, we would love to know about it. We look forward to hearing from you. Really very helpful for me because i tried from some months and getting no results. After reading article i get some tips to get ranked my site in google. Some posts of my blog appeared in first place of search results. Now page views are decreasing and posts are not appearing in search results. I am building links from all websites. Is this a cause of decreasing my page views ? Google algorithm has changed a lot in the last couple of years. You have to wait to get your rankings settled down. You keep continuing your work. These ranking up & down is called Google dance. Make sure your content is really long, in-depth compared to your competitors. Try to get increase social reach also. The same things are happening with my articles also. Thanks for sharing such valuable information , its very useful for me. I was very much worried that why my website does not have visitors , but after reading your article , its pretty much cleared and i am going to work out to get it ranked…Thanks Again..!! Thank Narinder for finding these points useful. Search engines are getting really smart and especially the AI-powered Google or RankBrain is going to re-write all the rules of SEO & rankings in coming days.